Herb and Roots nursery is currently offering apprenticeships and internships in the nursery where students will learn about the different methods of plant propagation through various techniques, including cultivating from seed and root division. Students will learn how to identify plants through using botanical techniques and language. While learning the unique characteristics of individual plants, we will learn to relate to each species through our senses and intelligence. In addition to learning to cultivate edible and medicinal species through proper soil creation, germination skills and working with the moon cycles within the seasons, students will learn to sustainably harvest, make medicine and save seeds of the different native, medicinal and weedy species growing at the nursery and within the bioregion. We will cover the traditional uses and current scientific understanding of the plant constituents, while exploring how the herbs work physiologically in the human body. Apprentices within the herbalism program will also learn about the different pathogenic organisms that afflict human health, how to recognize and diagnose the conditions of such infections and illnesses. Other topics covered will be the role and importance of beneficial organisms within the human body, plant and mushroom nutrition, and the importance of holistic approaches to healing. 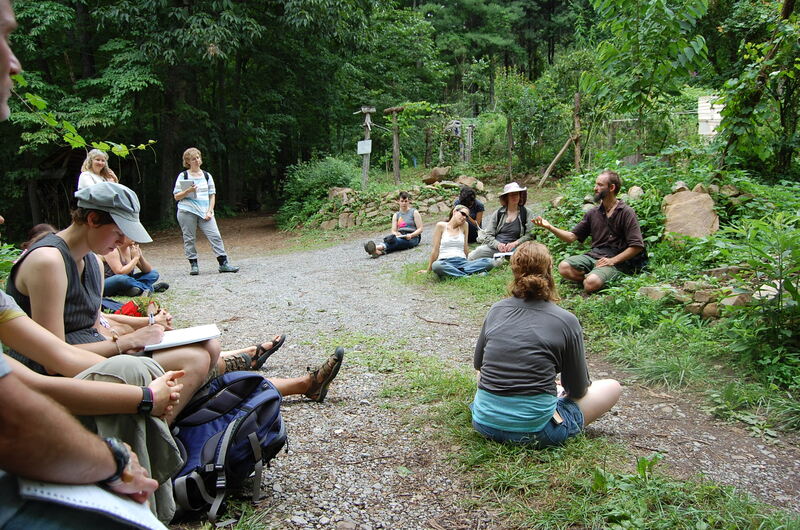 There are also internships in permaculture design and natural building. For those interested more in hands on projects not directly involved with plant propagation and herbalism, participants can learn different types of natural building, including slip straw and timber construction, earthen plasters and paints. Other permaculture projects include working with aquaponics and water systems. There are opportunities to learn about pond construction, creating water lines and general plumbing skills are available as well.